Acting on behalf of Westcott Leach LTD, the owners and developers of Swallow Business Park near Hailsham, SHW have agreed terms with a potential tenant on units 5,6,7,8 and 9 in Block E totalling 12,712 sq ft. Blocks E and G totalling 54,067 sq ft are currently under construction with Block E due to be ready for summer 2018. Both blocks are capable of subdivision into smaller units from 1,571 sq ft in Block E and 3,175 sq ft in Block G. The units will be available on new leases at a quoting rent of £8.00 per sq ft.
SHW report strong interest in the business park which already houses Vacgen in a 35,000 sq ft building. SHW are also in discussions with another company seeking 20,000 sq ft in Block G.
He reports interest from companies from all parts of East Sussex and believes that the quoting rent is very competitive when compared with the rents currently being generated for new industrial and warehouse stock. Healso says the key with Swallow Business Park is the flexibility offered by his clients in terms of the sizes of unit and the fact they can be combined to provide a whole range of sizes. 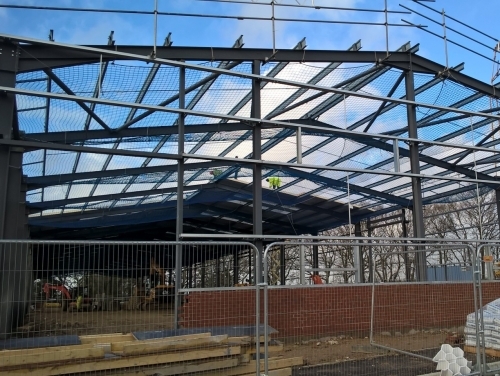 Westcott Leach Ltd are also currently completing the first phase of their development at Eastside Business Park inNewhaven where two blocks of 12,500 sq ft have been pre-let with work on a further 60,000 sq ft in three terraces due to commence in the spring. For details of units at either Swallow Business Park or Eastside Business Park, please contact David Martin on dmartin@shw.co.uk / 01273 876212 or his colleagues Jason Roberts jroberts@shw.co.uk / 01323 438460 or James Bryant jbryant@shw.co.uk / 01273 876252.